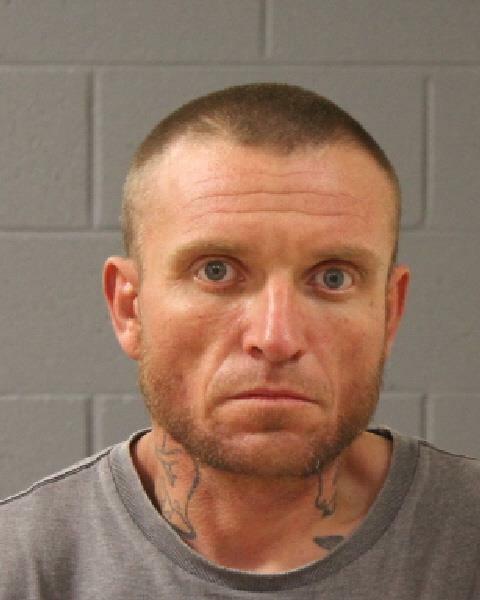 ST. GEORGE — A Colorado man is in jail after a hit-and-run crash between two semitractor-trailers Monday on Interstate 15 in Washington City after police discovered one of the trucks was stolen. At 6 a.m. an officer responded to I-15 for a possible hit-and-run involving a semi that reportedly ran into the trailer of another semi while getting off the interstate at Exit 10, according to the probable cause statement filed in support of the arrest. The witness reported seeing damage to the right front fender, tire and gas tank on the semi that allegedly fled. It headed east on Buena Vista Boulevard then turned right on Calle Del Sol where the semi pulled to the curb and stopped. A Washington City Police officer patrolling in the area found the semi and spoke to the driver, identified by his Colorado driver’s license as Kenneth Callaway, 36, of Bayfield, Colorado, as a Utah Highway Patrol trooper was en route. The trooper was unable to locate the semi that reportedly had been struck. Officers checked the area and found nothing. Through the course of the hit-and-run investigation the trooper determined that the semi stopped along Calle Del Sol was owned by a business out of Grand Junction, Colorado. Callaway told the trooper he borrowed the semi and trailer to pick up a number of vehicles in Las Vegas. He provided the name and phone number of the individual who gave him authorization, but was not a working number, according to the report. After the call failed, the trooper became suspicious and with help from the Grand Junction Police Department was able to obtain a legitimate phone number. The business owner confirmed the semi belonged to his business and was supposed to be parked in the company’s lot in Grand Junction. The trooper advised the owner to report the theft to Colorado authorities. Callaway was taken into custody and the semitractor-trailer was searched prior to being impounded. He asked the trooper to bring him the jacket he left in the cab of the truck. The trooper searched it and found in one pocket diamonds, a baggie with a crystal-like substance that appeared to be methamphetamine, a syringe and a vile of Septocaine, a numbing agent similar to what is used at a dentist’s office, according to the report. In the other pocket the trooper found a glass pipe with burnt residue on it. Callaway was booked into Purgatory Correctional Facility and charged with second-degree felony theft by receiving stolen property for the alleged theft of the semi, as well as three misdemeanors including possession of a controlled substance, possession of paraphernalia and leaving the scene of an accident. The defendant was also charged with following too close, a traffic infraction. Callaway remains in custody on $25,000 bail as this report publishes.